Read more in our Spring 2018 newsletter. Help the Environment and GFP! As the old man walked down the beach at dawn, he noticed a young man ahead of him picking up starfish and flinging them into the sea. Finally catching up with the youth, he asked him why he was doing this. The answer was that the stranded starfish would die if left until the morning sun. “But the beach goes on for miles and there are millions of starfish,” countered the other. “How can your effort make any difference?” The young man looked at the starfish in his hand and then threw it to safety in the waves. “It makes a difference to that one,” he said. Federal public law 107110, section 9528 of the ESEA, “No Child Left Behind Act” requires school districts to release student names, addresses, and phone numbers to military recruiters upon their request. The military uses this information to recruit students. The law also requires the school district to notify you of your right to opt-out from this by requesting that the district not release your information to military recruiters. 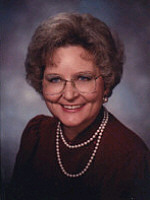 On December 2nd, 2001, Sunday evening, Founder and Director of Grandmothers for Peace Barbara Wiedner left this earth. We mourn her death, but rejoice in the legacy she has left for all of us. Barbara was working on, but never finished, a farewell message to her beloved organization. She was most concerned that the group would continue. It will continue — with help from those that wear the GFP shirt, you reading this, our supporters, and future members. 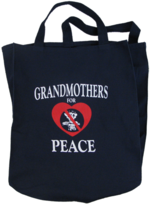 There will always be a Grandmothers for Peace, because it is now beyond an organization. It is a movement. While we still long for a peaceful world, Barbara is truly a Grandmother at Peace. Copyright ©1996-2018, Grandmothers for Peace International. All rights reserved.